In 2003 the town of Zvolen celebrated the 760th anniversary of its foundation.The first reliable document of the independent royal town of Zvolen is the royal charter of King Belo IV of December 28, 1243 reinstating the Zvolen’s town privileges. Written documents on the existence of the town (settlement), however, date back also earlier than 1243. In 1222 it is written about Detrik - a head of the Zvolen County; at the turn of the 12th and 13th centuries the chronicler Anonymus dates foundation of Zvolen Castle back to the 10th century. Zvolen has lived for years under the auspices of the Castle, today known as the Deserted Castle, which was the seat of the royal “komitat”, that is a territory stretching in the area of the whole today’s Central Slovakia. The importance of this vast castle (it was divided into the Upper and Lower Castle and its area was over 7 hectares!) faded away a little after building up the new castle right in the town. In the end, the Deserted Castle was burnt down by Ján Huňady’s troops in 1452 (according to the latest research) and it remained in ruins. 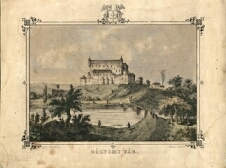 Hungarian King Louis the Great of Anjou had Zvolen Castle built in the second half of the 14th century. Since the time of its founding the Castle has often been rebuilt and had several owners. King Matthias Corvinus and his wife Beatrix would enjoy coming here; it was also a residence of Ján Jiskra of Brandýs, and the Ján Thurzo’s possession. The cruelest period in the history of Zvolen was the 16th century. The Hungarian Empire was tossed about by struggling for the throne; it held Turkish and Tartar attacks off. In the 1580’s Zvolen was dealt by the plague blow. Another disaster affected the town in 1601. At that time huge fire destroyed the church, school, orphanage and many houses. To renew the town its inhabitants needed to spend much finance and for that reason they asked the monarch for forgiving them taxes. The destructive fire hit Zvolen also in 1708. The years of the Slovak National Revival movement (1848 – 1849) have left an imprint on Zvolen too. The town is connected with the name of Ľudovít Štúr who was the first deputy in the Hungarian Parliament and he represented just the town of Zvolen. Štúr spoke five times at the Hungarian Parliament during the years 1848 – 1848 and he tried to pursue the national freedom of the Slovaks, recognition of the Slovak language, serfdom abolition, equal civil rights and other demands of the whole Slovak nation. In 1871 a railway station was built in Zvolen and one year later the Hungarian northern railway Pešť – Zvolen – Vrútky was completed. 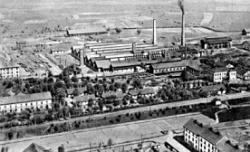 It meant further development of the town alike the sheet iron factory called Union. Also a savings bank, bank and printing house sprouted up in Zvolen. At the beginning of the 20th century the working class in the town became stronger. In the aftermath of the World War I (88 soldiers from Zvolen died during it) the 28th October 1918 comes and brings the establishment of the new state – the Czechoslovak Republic. The new republic had to cope with various problems. As early as in the summer 1919 Slovakia was invaded by the troops of the communist Hungarian Republic Order that in June occupied also Zvolen. Zvolen could not be prevented from the tragedy of the World War II. After liberation in 1945 not only started renovation of the property destroyed by the war in Zvolen, but also former small businesses started to be expanded and new ones were built up. On the north-eastern outskirts of the town went up Bucina, the large integrated wood-processing plant, and near the Hron river one of the most modern dairies in Slovakia of that time. Furthermore, there were textile factories, a new railway station, schools, dormitories, new blocks of flats. New roads, streets, pavements, water supply system, the town’s drainage were built; they continued in electrifying the town. 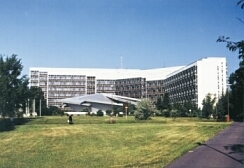 Nowadays Zvolen is a seat of several prosperous businesses, quality elementary and secondary schools and also the Technical University that is the only one in Slovakia that educates experts in the wood-processing area. Culture is represented by the J.G. Tajovsky Theatre with its permanent scene as well as by the tens of dance, theatre, song and musical groups which spread a good reputation of the town in Slovakia and foreign countries as well.